Loons, the iconic bird of the Lakes Region, are returning for the spring nesting season. Their soulful calls echo around the tranquil lakes. These striking birds, with distinct black and white markings, are not easy to spot. The Loon Center and Markus Wildlife Sanctuary offer visitors many ways to observe and learn more about these fascinating birds. For daily bird watching opportunities stay at The Lake House at Ferry Point Inn. Our inn, the only lakefront bed and breakfast in the Lakes Region, has idyllic views of Lake Winnisquam. Guests enjoy the scenery from our generous front porch, beautiful gardens or gliding along the water in one of our kayaks. And the elegant guest rooms and delicious breakfasts will have you rested and ready for another day of exploration. Plan your relaxing summer getaway at The Lake House at Ferry Point Inn on the shores of a beautiful lake. 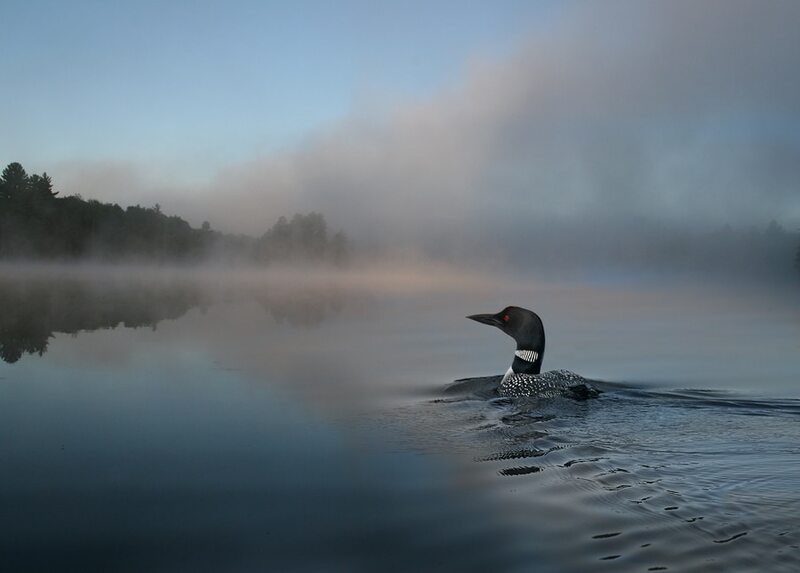 The New Hampshire lakes wouldn’t be the same without the beloved common loon. Unfortunately, the number of these ancient birds has been declining for some time. 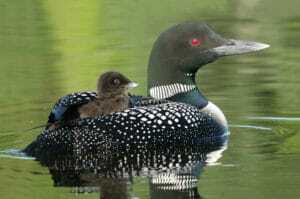 Thankfully the Loon Preservation Committee works hard to restore a healthy population. Visit the Loon Center and Markus Wildlife Sanctuary with 200 acres of forests, ponds, and pristine shoreline. The center houses educational exhibits, while the sanctuary has two walking trails. The Forest Walk offers cool shade in the summer and is an easy quarter mile loop through the woods. While the Loon Nest Trail has several lake viewing vantage points along the one and a half mile trail. 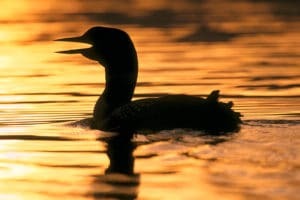 For great loon sightings, reserve a Loon Cruise on the lovely Squam Lake. The route of each 90 minute cruise is chosen to maximize observing loons along the beautiful lake. A Squam Lakes Natural Science Center biologist guides the tour, adding information on loon conservation and biology. Loon Center, includes kids’ activities, live music and animal exhibits. 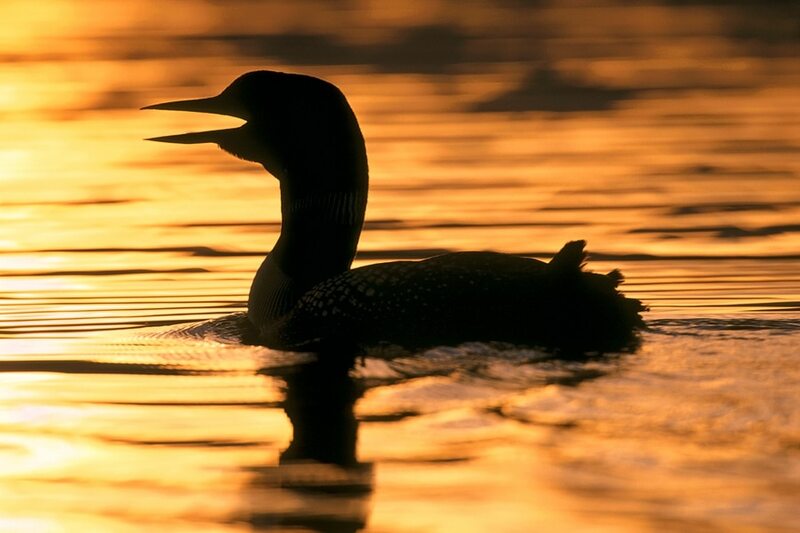 The majestic loon and their haunting wails are adored in the Lakes Region. And the Loon Preservation Committee and the Squam Lakes Natural Science Center work hard to preserve these living treasures. The nesting season has begun and soon the summer chicks will be hatching. Now is the perfect time to plan a summer vacation relaxing on the lakes of New Hampshire. Book your lakeside room today at the charming Lake House at Ferry Point Inn.